Cohen Davies burst onto the scene in 2006 with a second place in the Garnier Fructis Australian Open, coming a close second to Danny Kass and beating the likes of Louis Vito (the guy from Dancing With The Stars USA). What a time to be alive for the young lifty from Perisher who then went on to take out competitions in Tahoe, beating Chas Guldemond on his home turf and starting the rivalry that lives on today. Cohen was always a solid comp kid with plenty of tricks and also dabbled in the sidecountry of Tahoe for some years shooting some epic photos. 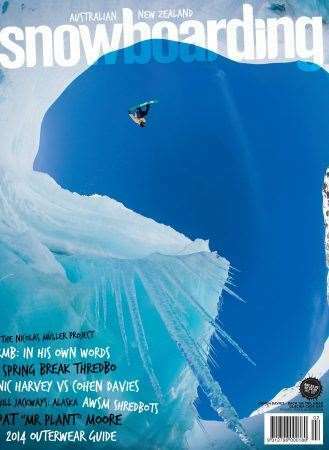 But it wasn't until 8 years later that he made the mission to Whistler (ten years after he spent his first season there out of high school) and bought a sled and went deep into the backcountry with photographer Ryan Anderson and close friend Nic Harvey. It was here he scored his first cover and one of our favourites at ANZ Snowboarding.